The progression of spermatogenesis relies on the precise regulation of spermatogonial self-renewal and differentiation. Many genes/proteins have been identified with specific expression profiles in individual spermatogonial cell types but the molecular mechanism of their regulation is still obscure. In this review, an overview of current knowledge on the various factors essential for these two major steps of spermatogonial development is presented. Elucidating the function of these factors was typically made possible through either naturally occurring mutant mice or genetically modified mice, in which a specific and clearly defined spermatogonial arrest is seen. In addition, a few factors, which are potentially important but less clearly defined, are also included. Moreover, the relevance and postulated interactions between these factors is discussed. This chapter is focused on the genes/proteins, hormones and other physiological factors that are essential for the self-renewal of spermatogonial stem cells (SSCs) and spermatogonial differentiation. Most of the genes discussed have been shown in naturally occurring mutants or genetically modified mice to produce an infertile or sub-fertile reproductive phenotype. In addition, these genes have been shown to play a definitive role in one germ cell type or one particular step of spermatogonial development. Genes that have demonstrated effects on multiple organs, tissues and cell types or result in general hormonal changes will not be emphasized except for those with clear effects on a specific event of self-renewal and differentiation of spermatogonia. The majority of the experimental data presented here is based on the rodent model and the regulation of the two phases of spermatogonial development in adult male mice, self-renewal and differentiation, will be the focus. Numerous papers have been published in the past 15 years that describe the reproductive phenotypes of mutated genes in mice that result in male sterility. An even greater number of papers deal with the specific expression of genes/proteins in a subpopulation of spermatogonia. In this chapter, a restricted summary of recent progress in understanding the critically important regulators of spermatogonia using genetic models is presented. Spermatogenesis is a complex process, in which spermatogonial stem cells form spermatozoa. This process is continuous throughout the adult life in most mammals. Sertoli cells play a crucial nurturing role in coordinating and supporting important events of spermatogenesis. In the seminiferous tubules, adjacent Sertoli cells form a “blood-testis” barrier via junctional complexes and separate the intra-tubular germinal epithelium into two compartments: a basal compartment where cells are exposed to the extra-tubular environmental milieu and a luminal compartment where germ cells are subject to a unique environment produced by Sertoli cells as well as germ cells (see Figure 1) (Griswold, 1998). Histological structure of seminiferous tubules in the adult mouse testes. Junctional complexes are formed between the adjacent Sertoli cells (Sertoli-Sertoli barrier or blood-testis barrier) and this barrier separate the space within the seminiferous tubule into basal and luminal compartments. A layer of peritubular myoid cells surround the tubules. The nuclei of Sertoli cells are circled and nuclei of spermatogonia are enclosed by a rectangle. Abbreviations: BC- basal compartment; LC- luminal compartment; IN- interstitium; BV- blood vessel; SC- Sertoli cell; SP- spermatogonia; PMC- peritubular myoid cell. Bar represents 100 μm. Spermatogenesis occurs in mitotic, meiotic and postmeiotic phases. In the mitotic (proliferative) phase, spermatogonia undergo either self-renewal or differentiation, both involving successive divisions (Eddy, 2002). Mitotic germ cells (spermatogonia) are located in the basal compartment, whereas meiotic and postmeiotic germ cells are found in the luminal compartment. In the meiotic phase, genetic materials are recombined and segregated in spermatocytes. In the postmeiotic phase, spermatids undergo a series of morphological and structural changes to become spermatozoa. These changes include acrosome and tail formation, chromosome condensation and the removal of the excessive cytoplasm at the time of spermiation. The entire process of spermatogenesis takes about 35 days in the mouse, with mitotic, meiotic, and postmeiotic phases lasting 11, 10 and 14 days, respectively (Eddy, 2002). In rodents, spermatogonial stem cells (SSCs) are single cells located on the basement membrane of the seminiferous tubules. The SSC either divides into two new single cells or into a pair of spermatogonia (Apr) that do not complete cytokinesis and stay connected by an intercellular bridge (de Rooij and Russell, 2000; de Rooij, 2001). The Apr spermatogonia divide further to form chains of 4, 8, and occasionally, up to 32 A aligned (Aal) spermatogonia. The individual As, Apr, and Aal cells are morphologically indistinguishable by light microscopy on a histologically stained cross-section of testis. Collectively, these three types of cells are called undifferentiated type A (Aundiff) spermatogonia. The Aal spermatogonia go though a differentiation step with morphological changes and become A1 spermatogonia. In rodents, there are five divisions following A1 formation, forming successively A2, A3 A4, In (intermediate) and B spermatogonia. The B spermatogonia divide into preleptotene spermatocytes. Each step of differentiation is associated with a mitotic division except for the transition of Aal to A1. Spermatogonia from A1 to B are termed differentiating spermatogonia. As spermatogonia are conventionally considered the only true SSCs even though As, Apr and Aal are designated Aundiff (De Rooij, 1998). Recent studies suggest that Apr and Aal may still possess stem cell characteristics under certain conditions (Yoshida et al., 2007a). SSC self-renewal and spermatogonial differentiation can be regulated by extrinsic factors from the somatic environment, and intrinsic genetic programs within germ cells. At least some extrinsic factors such as Glial Cell-Derived Neurotrophic Factor (GDNF) and KIT ligand (KITL) are produced and delivered by Sertoli cells. Intrinsic factors include transcription regulators such as Zinc finger and BTB domain containing 16 (ZBTB16/PLZF), ets variant gene 5 (ETV5/ERM) and B-cell leukemia/lymphoma 6 (BCL6; see Figure 2; Table 1). Scheme of spermatogonial self-renewal and differentiation in the mouse, showing the subsequent spermatogonial cell types. Light photomicrographs show the main morphological features of individual spermatogonial cell type based on the criteria described in previous studies (Chiarini-Garcia et al., 2001b; Chiarini-Garcia et al., 2002; Chiarini-Garcia et al., 2008). The function of various factors regulating spermatogonial self-renewal and differentiation is indicated. A continuous supply of differentiating germ cells is essential for spermatogenesis. Therefore, SSCs must have the capacity for self-renewal and maintenance of the undifferentiated state. SSCs constitute only a small fraction of the adult testicular germ cells. Approximately 30,000 SSCs exist in each adult mouse testis and are located in the most peripheral region of the seminiferous tubule (De Rooij, 1998). The only available technique to evaluate spermatogonial stem cell character is the transplantation of cells to recipient males and determination of testis colonization activity (Brinster and Avarbock, 1994; Brinster and Zimmermann, 1994). In practice, certain surface markers (integrin-α6+, INTEGRIN-β1+, THY-1+, CD24+, CD9+, KIT−, INTEGRIN-αv−, MHC-Ia/β2M−, SCA-1− and CD34−) have been used to sort and enrich SSCs (Shinohara et al., 1999; Kanatsu-Shinohara et al., 2003). These surface markers are present in other stem cells as well. GDNF is produced and secreted by Sertoli cells and a subset of type A spermatogonia express the GDNF receptor complex including ret proto-oncogene (RET) and its co-receptor glial cell line derived neurotrophic factor family receptor alpha 1 (GFRA1) (Golden et al., 1999). 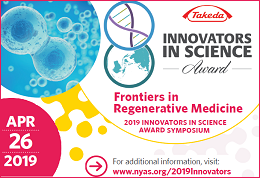 GDNF promoted the maintenance and proliferation of SSCs under in vitro culture conditions and has become an essential component in the medium used to culture murine SSCs (Nagano et al., 1998; Kanatsu-Shinohara et al., 2003; Kubota et al., 2004). Gdnf −/+ mice exhibited a depletion of SSC reserves with age whereas mice over-expressing GDNF accumulated spermatogonia that were unable to differentiate, leading to the formation of germ cell tumors in older mice (Meng et al., 2000). GDNF binding to GFRA1 induced RET activation and in turn resulted in the binding of various molecules to the RET intracellular domain. Both Gfra1- and Ret-null mice die early in life (Pichel et al., 1996; Sanchez et al., 1996; Schuchardt et al., 1994). Whole-testis transplantation techniques demonstrated that Gdnf-, 1Gfra1- and Ret-null testes showed severe depletion of SSCs by 7 dpp (Naughton et al., 2006). This was presumably due to the lack of proliferation of SSCs and the inability of these cells to maintain an undifferentiated state (Naughton et al., 2006). Homozygous RET Y1062F knock-in mice, in which RET tyrosine 1062 was replaced with phenylalanine, showed atrophic testes and almost undetectable germ cells by 21 dpp (Jijiwa et al., 2008). BCL6, a transcription repressor, is a Gdnf-responsive gene in cultured SSCs (Oatley et al., 2006). SiRNA suppression of its mRNA level resulted in the loss of SSCs under culture condition. Analysis of Bcl6-null testes revealed degeneration of spermatogenesis in some of the seminiferous tubules (Oatley et al., 2006). ETV5, a transcription factor, is mainly expressed in Sertoli cells (Chen et al., 2005). Etv5-null testes had deficient SSC self-renewal and thus had progressive germ cell depletion and a Sertoli-cell-only syndrome. Microarray analyses of primary Sertoli cells of Etv5-null mice showed alterations in secreted factors known to regulate the haematopoietic stem cell niche. Genes with the greatest reductions included the chemokines, Cxcl12 (Sdf-1), Cxcl15 (Lix) and Ccl7 (Mcp3). These chemokines are possibly the niche signaling molecules regulating SSC self-renewal (Chen et al., 2005). The expression of the Etv5 gene was highly regulated by GDNF in cultured SSCs (Oatley et al., 2006). Reciprocal germ cell transplantation revealed ETV5 appeared to be required in both germ cells and Sertoli cells for normal spermatogenesis (Morrow et al., 2007). ZBTB16 is a transcription repressor whose expression is restricted to Aundiff spermatogonia (Costoya et al., 2004; Buaas et al., 2004). Zbtb16-null testes underwent a progressive loss of spermatogonia with age, and an increased apoptosis with no apparent major defects in somatic cells (Costoya et al., 2004). The mouse mutant luxoid, in which there is a nonsense mutation in the gene encoding ZBTB16, exhibited a similar defective spermatogenic self-renewal (Buaas et al., 2004). Germ cell transplantation experiments showed luxoid mutant germ cells could not colonize the recipient testes and showed that the defect is intrinsic to SSCs (Buaas et al., 2004). Recent data suggested ZBTB16 modulated the histone lysine methylation state in the ZBTB16-expressing spermatogonia (Payne and Braun, 2006). TAF4B RNA polymerase II, TATA box binding protein (TBP)-associated factor (TAF4B) is a gonad-specific component of TFIID complex (Verrijzer and Tjian, 1996). This complex contains the TATA-binding protein (TBP) and TBP-associated factors critically important for core promoter recognition and activator-dependent RNA Polymerase II recruitment (Verrijzer and Tjian, 1996; Freiman et al., 2001). In the developing and adult testes, TAF4B protein is specifically expressed in spermatogonia and spermatids. While young Taf4b-null males aged between 28–58 days were initially fertile, Taf4b-null males became infertile by 3 months of age (Falender et al., 2005). The null testes appeared histologically normal but protein expression of RET and ZBTB16 was reduced at this age. There was no difference between heterozygotes and null mutants in TUNEL staining, suggesting apoptosis was not the cause of low germ cell number in null testes. Serum follicle stimulating hormone (FSH), luteinizing hormone (LH) and testosterone (T) levels in nulls appeared normal (Falender et al., 2005). Germ cell transplantation experiments showed a functional somatic environment in null testes that could support the spermatogenesis of Rosa26 donor SSCs. The testis weights of null mice showed a significant decrease at 3 wk of age and were reduced to 40% that of heterozygotes at 12 wk. By 8 months, the seminiferous tubules of null mice with few exceptions were completely devoid of germ cells (Falender et al., 2005). Together, these data suggest that TAF4B is obligatory for the maintenance of a normal SSC population in adult testes. The protein kinase ataxia telangiectasia-mutated (ATM) regulates apoptosis and cell cycle checkpoint responses after DNA double-strand breaks (DSBs), telomere erosion and oxidative stress (Shiloh, 2003). Atm-null males and females were infertile (Hamer et al., 2004). Atm-null testes showed a progressive depletion of undifferentiated spermatogonia accompanied by cell-cycle arrest (Takubo et al., 2008). Total protein levels of ATM showed no difference in both undifferentiated and differentiating spermatogonia but the activation of ATM preferentially occurred in undifferentiated spermatogonia. BrdU pulse labeling and Pyronin Y staining demonstrated an accumulation of cells at G1 phase and a block of S phase in Atm-null undifferentiated spermatogonia (Takubo et al., 2008). A defective self-renewal ability of Atm-null undifferentiated spermatogonia was observed in culture and the capability of colonization was significantly impaired in germ cell transplantation assay. Atm-null undifferentiated spermatogonia exhibited accumulation of DNA damage and activation of the Arfp19Arf−p53-p21Clip1/Waf1 pathway. Moreover, suppression of p21Clip1/Waf1 in the Atm-null background restored the transplantation ability of undifferentiated spermatogonia (Takubo et al., 2008). Collectively, ATM plays an essential role in self-renewal of SSC by suppressing DNA damage-induced cell-cycle arrest and this represents a novel mechanism for the regulation of SSC self-renewal. Protein (peptidyl-prolyl cis/trans isomerase) NIMA-interacting 1 (PIN1) is a phosphorylation-directed peptidyl-prolyl isomerase that regulates cell cycle progression. Many critical cell signaling phosphoproteins are modulated by PIN1 in a variety of ways, including CYCLIND1, c-JUN, CDC25, p53 and β-CATENIN (Atchison and Means, 2004). Primordial germ cells (PGCs) in Pin1-null mice exhibited a prolonged cell cycle and decreased proliferation leading to a severe reduction in PGC number at birth (Atchison et al., 2003). Germ cells in postnatal Pin1-null testis were able to initiate and complete spermatogenesis although young Pin1-null male mice had a reduced fertility. However, there was a progressive and age-dependent degeneration of spermatogenic cells leading to a complete germ cell loss by 14 months of age (Atchison and Means, 2003). This depletion of germ cells was not due to increased apoptosis. A depletion of spermatogonia was found to be the first step of the degenerative process. Immunohistochemistry studies show that PIN1 is localized to both germ cells and Sertoli cells (Atchison and Means, 2003). Indirect evidence suggested that within germ cells PIN1 was preferentially expressed in Aundiff spermatogonia. Taken together, these results reveal an essential role of PIN1 in maintaining SSCs in the adult testis (Atchison and Means, 2003). A study from Chiarini-Garcia and colleagues showed Aundiff spermatogonia are preferentially localized to the basal area of the tubules adjacent to interstitium and vasculature rather than to regions adjacent to other tubules (Chiarini-Garcia et al., 2001a). Recently, Yoshida et al recorded a real-time imaging of Aundiff spermatogonia during migration and cell division (Yoshida et al., 2007b). With three-dimensional reconstructions of serial sections, they validated the results of Chiarini-Garcia obtained by two-dimensional thin cross-sections of adult testes. The images clearly showed the expansion of Apr spermatogonia to 8- and 16-cell chains in the regions close to the interstitium and blood vessels, and in turn, these cells in chains migrated laterally along the inner tubular surface and became uniformly distributed along the tubules when they became A1-A2 spermatogonia (Yoshida et al., 2007b). In an isolated tubule following germ cell transplantation, it was also observed that Aundiff spermatogonia redistribute preferentially close to the interstitium and newly developed blood vessels outside the host tubule. These data collectively established a correlation between the physically intimate co-presence of Aundiff spermatogonia and interstitium/blood vessels (Yoshida et al., 2007b). POU domain, class 5, transcription factor 1 (POU5F1) is a transcription factor required to maintain the pluripotency and self-renewal of embryonic stem (ES) cells (Pesce and Scholer, 2001). During gastrulation, POU5F1 expression was progressively repressed in the epiblast and by 7.5 dpc was confined exclusively to primordial germ cells (PGCs) (Scholer et al., 1990) and was required for their survival (Kehler et al., 2004). Expression of POU5F1 was detected in gonocytes throughout embryonic testis development. In postnatal testes, POU5F1 was localized in proliferating gonocytes and later in Aundiff spermatogonia (Pesce et al., 1998). Pou5f1-null homozygous embryos died around the time of implantation (Nichols et al., 1998), thus precluding further analysis of gene function during postnatal spermatogonial development. Gap junction protein, alpha 1 (GJA1), which is also known as connexin 43 (CX43), is the predominant testicular gap junctional protein located between neighboring Sertoli cells and between Sertoli cells and germ cells (Brehm and Steger, 2005). Total deletion of the Gja1 gene led to perinatal lethality (Reaume et al., 1995). Adult Sertoli cell-specific Gja1-null (Sccx43-null) mice had a normal testis descent but also had a dramatic reduction in size and weight which resulted in sterility (Brehm et al., 2007). Ninety five percent of seminiferous tubules in adult Sccx43-null testes were arrested at the level of spermatogonia or with Sertoli cell-only syndrome and intra-tubular Sertoli cell clusters, whereas 5% of tubules showed qualitatively normal spermatogenesis. Numbers of spermatogonia per tubule were decreased and the number of Sertoli cells per tubule increased in Sccx43-null testes (Brehm et al., 2007). These results, for the first time, indicated that gap junctions might play a crucial role on the integrity of spermatogonial stem cell niche. There are three important regulatory points for spermatogonial differentiation. The first key point occurs at the conversion of As to Apr spermatogonia and the second key point commences during the transition of Aal to A1 spermatogonia. The third key point is the survival and progression of A1 to B spermatogonia (de Rooij, 2001). Apr spermatogonia do not complete cytokinesis and stay connected by an intercellular bridge. Once Apr spermatogonia are formed, these cells are committed to become haploid gametes. Cytokinesis in all subsequent divisions will also be incomplete, leading to the formation of an increasingly large syncytia of germ cells (see Figure 3). The intercellular bridge is considered to be the first visible sign of spermatogonial differentiation (Aponte et al., 2005). The ratio of self-renewal and differentiation must be strictly maintained around 1:1, otherwise germ cell tumors or depletion of SSCs may occur when the balance skews either way (Meng et al., 2000). At this point, the molecular mechanism underlying this decision toward incomplete cytokinesis and differentiation is largely unknown. Light photomicrograph of the connected differentiating spermatogonia. The arrows shows the intercellular bridge connecting two Intermediate spermatogonia. Bar represents 10 μm. In a recent study, Greenbaum and colleagues reported that testis-expressed gene 14 (TEX14) is an essential component of germ cell intercellular bridges and the intercellular bridges could not be observed by electron microscopy among the Tex14-null spermatogonia. The proliferation and differentiation of Tex14-null spermatogonia appeared to be unaffected but spermatogenesis was halted before the completion of the first meiotic division (Greenbaum et al., 2006). During each cycle of the seminiferous epithelium, most of the Aal spermatogonia differentiate into A1 spermatogonia at about stage VII (De Rooij, 1998). Most of the known factors regulating spermatogonial differentiation are active in the transition of cells from Aal to B spermatogonia. A summary of the actions of these regulatory factors follows. RA, a biologically active metabolite of vitamin A (retinol), is essential for male fertility (Griswold et al., 1989); (Livera et al., 2002). In vitamin A deficient (VAD) mice, only Aundiff spermatogonia could be found in the seminiferous tubules (van Pelt and de Rooij, 1990). At 24–48 hours after the injection of either retinol or RA, arrested Aal spermatogonia re-entered the cell cycle and differentiate into A1 spermatogonia with the subsequent increased expression of kit oncogene (Kit) in type A spermatogonia (Schrans-Stassen et al., 1999; van Pelt and de Rooij, 1990). In long-term experiments with VAD mice or rats after the replacement of retinol or RA, several rounds of synchronous spermatogenesis occurred (van Pelt and de Rooij, 1990; Griswold et al., 1989). It is difficult to determine whether RA induction of spermatogonial differentiation is a direct action in germ cells or an indirect regulation via Sertoli cells, since receptors for retinoids are expressed in both somatic and germ cells (Dufour and Kim, 1999). Recent studies show a robust induction by RA of a gene named Stra8, together with Kit, in the cultured Aundiff spermatogonia without the presence of somatic cells (Zhou et al., 2008). This result suggests that RA regulation of differentiation is a direct action on spermatogonia. RA is a general differentiating factor for many cells and tissues at multiple developmental stages (Clagett-Dame and DeLuca, 2002). There is some evidence that RA interacts with several other factors involved in the regulation of spermatogonial differentiation. Firstly, RA significantly increased the expression of Kit in A spermatogonia of VAD rodent testes (Schrans-Stassen et al., 1999). Secondly, RA induced spermatogonial differentiation in cultured cryptorchid testes (Haneji et al., 1983). More importantly, expression of Stra8 was significantly up-regulated in cryptorchid testes 24 hours after the injection of RA to these animals (unpublished data). Thirdly, the level of deleted in azoospermia-like (Dazl) was significantly up-regulated by RA treatment in VAD mouse testes (unpublished data). Finally, RA treatment dramatically down-regulates genes coding for two key enzymes involved in testosterone production, cytochrome P450, family 17, subfamily a, polypeptide 1 (Cyp17a1) and cytochrome P450, family 11, subfamily a, polypeptide 1 (Cyp11a1), in VAD mice testes (unpublished data). If this inhibition of Cyp17a1 and Cyp11a1 by RA can be translated to a regulation of testosterone synthesis under physiological conditions, it suggests that RA and testosterone have reciprocal actions in the testis. Collectively, it indicates that RA might constitute one of the initial factors in the regulatory chains/networks in spermatogonial differentiation. KITL, which is also known as stem cell factor (SCF), is secreted by Sertoli cells in the testis, while protein of KIT, the receptor of KITL, is localized on the surface of germ cells (Loveland and Schlatt, 1997). The signaling of KITL/KIT has extensive roles in multiple steps of germ cell development. Investigations of several different mutants of Steel (encoding KITL) and the White spotting (encoding KIT) reveal that depending upon the specific site of the mutation, defects of KITL/KIT signaling lead to variety in the severity of spermatogenic failure. De Rooij et al., chose to study Sl17h/Sl17h mice with a splicing defect in the cytoplasmic tail of the protein encoded by Kitl (Brannan et al., 1992; de Rooij et al., 1999). The most advanced germ cells present in Sl17h seminiferous tubules were actively proliferating Aundiff spermatogonia revealed by their topological arrangement and clonal sizes. These cells failed to differentiate into A1 spermatogonia. Accumulation of Aal spermatogonia was not observed due to the apoptosis in spermatogonia (de Rooij et al., 1999). Dazl encodes an RNA-binding protein essential for both male and female fertility (Ruggiu et al., 1997). A genetic defect, microdeletions of the long arm of the Y-chromosome, is the cause of some cases of human oligozoospermia or azoospermia (deKretser, 1997). One of the human Y-chromosome genes identified within this region is deleted in azoospermia (Daz) (Ruggiu and Cooke, 1999). However, Daz only exists in the human and some primates. In other mammals, it is represented by a single-copy, autosomal gene Dazl (Cooke et al., 1996). Dazl-null murine seminiferous tubules contained spermatogonia with very few tubules containing pachytene spermatocytes. The clonal composition study using tubule whole mounts indicated that the spermatogonia that remained in the null tubules were Aundiff spermatogonia (Schrans-Stassen et al., 2001). BrdU incorporation and the mitotic index of cells in the null testes showed that these Aundiff spermatogonia were actively proliferating but were also undergoing active apoptosis. Immunohistochemistry staining revealed approximately 80% of the spermatogonia in null testes were KIT positive, indicating that KIT/KITL signaling was either upstream or independent of the DAZL regulatory pathway in spermatogonial differentiation (Schrans-Stassen et al., 2001). The SRY-box containing gene 3 (Sox3) is a single-exon gene located on the X-chromosome, that belongs to a family of the high mobility group (HMG) of transcription factors(Foster and Graves, 1994). The co-localization of SOX3 with Neurogenin 3 (NEUROG3) in the testes indicated a specific expression of SOX3 in Aundiff spermatogonia (Raverot et al., 2005). Both females and males of Sox3-null mice are sterile and the nature of male infertility in C57/BL6 background has been characterized (Raverot et al., 2005; Weiss et al., 2003). Testicular defects became evident in 10 dpp null testes as type A spermatogonia were the only germ cells present within the seminiferous tubules. Proliferation of the germ cells seemed normal and TUNEL assay performed at 1, 2 and 3 weeks of age did not detect any significant differences in apoptosis between WT and null testes. However, it was found that mRNA and protein expression of Neurog3 was reduced, whereas the Pou5f1 mRNA level was increased and Ret level remained the same in null testes. Collectively, these data suggest that there is an inability of Sox3-null Aundiff spermatogonia to differentiate and the regulation of differentiation by Sox3 may involve NEUROG3 (Raverot et al., 2005). Spermatogenesis and oogenesis specific basic helix-loop-helix 1 (SOHLH1) is a transcription factor preferentially expressed in type A spermatogonia (Ballow et al., 2006a). SOHLH1 is initially detected in Aal spermatogonia in Stage IV and its expression is most significant in differentiating spermatogonia. Sohlh1-null males are sterile. TUNEL assays revealed the greatest difference in apoptosis between wild types and nulls occurred at 15 dpp (Ballow et al., 2006a). This appeared to be due to dying spermatocytes, and the apoptotic index declined with age due to reduced numbers of spermatocytes observed in the tubules of older animals. The mitotic index revealed by BrdU incorporation in Sohlh1-null spermatogonia was very close to that of juvenile spermatogonial depletion (Jsd) mice. A few spermatocytes were observed in a low percentage of the seminiferous tubules of prepubertal Sohlh1-null testes. This observation suggested a “leaky” initial block of spermatogonial differentiation, but this block became complete in sexually mature animals. Null testes of 7 dpp mice still expressed ETV5, TAF4B, ZBTB16 and showed reduced expression of NEUROG3 (Ballow et al., 2006a). However, the exact step of spermatogonial differentiation in which this block occurred was uncertain. Spermatogenesis and oogenesis specific basic helix-loop-helix 1 (SOHLH2) is a germ cell specific transcription factor (Ballow et al., 2006b). Male Sohlh2-null mice were infertile (Hao et al., 2008). Postnatal Sohlh2-null mice had reduced numbers of intermediate and type-B spermatogonia, seemingly normal undifferentiated spermatogonia and degenerating colonies of differentiating spermatogonia. Degenerating cells resembled A2 spermatogonia, and accumulated in M-phase prior to death. In adult Sohlh2-null testes, the ratio of Aundiff /differentiating spermatogonia was twice the normal level. In culture, Sohlh2-null Aundiff spermatogonia proliferated normally but failed to express KIT (Hao et al., 2008). Thus, SOHLH2 seems to be required for progression of differentiating type-A spermatogonia into type-B spermatogonia. In mice that are homozygous for the Jsd mutation, a single wave of spermatogenesis is followed by failure of type A spermatogonia to differentiate, rendering male animals sterile, whereas female animals are apparently normal (Boettger-Tong et al., 2000). Hormonal profiles of Jsd homozygous males indicated that the circulating testosterone level was normal and the serum FSH level was elevated in young animals but returned to normal at 1 year of age. Germ cell transplantation studies showed spermatogenic failure in Jsd was due to a defect in germ cells but not in the intra-tubular somatic environment (Boettger-Tong et al., 2000). De Rooij and his colleagues reported spermatogenic phenotypes in adult Jsd mutant testes resembled what is observed in Sl17h mutants, including actively proliferating Aundiff spermatogonia accompanied by spermatogonial apoptosis (de Rooij et al., 1999). Occasionally, a few B spermatogonia were observed in Jsd adult seminiferous tubules. Recent studies identified a small rearrangement within a gene named UTP14, U3 small nucleolar ribonucleoprotein, homolog B (yeast) (Utp14b) underlying the Jsd phenotype. Utp14b represents a testis-specific retroposed copy of the ubiquitously expressed X-linked gene Utp14a (Rohozinski and Bishop, 2004; Bradley et al., 2004). Because yeast Utp14, the homologue of mouse Utp14a, is an essential component of a large ribonucleoprotein complex containing the U3 small nucleolar RNA, Rohozinski and Bishop proposed the autosomal retroposon Upt14b has been selected for in evolution due to its stability to increase the efficiency of protein production during spermatogenesis (Rohozinski and Bishop, 2004). Bradley et al proposed that it may imply a strong selective pressure to enable ribosome assembly in male meiotic cells (Bradley et al., 2004). The rate and severity of spermatogonial depletion in mice with different genetic backgrounds were studied and it was concluded that the source of Y-chromosome was a major factor in determining the severity of spermatogonial depletion in Utp14bjsd mutant mice (Bolden-Tiller et al., 2007). Testosterone has no direct impact on germ cell development but indirectly regulates spermatogenesis through Sertoli cells (Johnston et al., 2001; Zhou et al., 2002). A deficiency in testosterone production or defects in androgen receptor results in a halt of spermatogenesis in the middle of meiosis, indicating testosterone action in Sertoli cells is essential for the completion of meiosis in males (Holdcraft and Braun, 2004a). Numerous studies also showed testosterone was required for spermiogenesis and spermiation (Holdcraft and Braun, 2004b). There is no current evidence to suggest spermatogonial differentiation and self-renewal requires the presence of testosterone. On the contrary, the presence of a normal testosterone level is suggested to be inhibitory to spermatogonial differentiation in three different animal models, including irradiated rats (Shetty et al., 2006a), Jsd (Matsumiya et al., 1999; Shetty et al., 2006b) and Sl17h homologous mutants (Ohta et al., 2003). Suppression of the testosterone level by antagonists of GnRH/LH or androgen receptor successfully reversed the spermatogonial arrest and induced spermatogonial differentiation in these models (Shetty et al., 2006a). It seems that the beneficial effects of testosterone are exhibited in mid-meiosis and later stages of spermatogenesis, while the detrimental effects reside in differentiating spermatogonia. It is also worth noting that the destructive role of testosterone can be only observed either under the pathological condition or in naturally mutated rodents. We speculate that a delicate fine-tuning of focal testosterone action during the seminiferous epithelial cycle in normal testis is essential to coordinate the regulatory requirements for a successful spermatogenesis. In the human and many other mammalian species, successful spermatogenesis requires a temperature below 37°C. Cryptorchidism, where testes fail to descend into the scrotum and reside in an environment of body temperature, results in a spermatogenic arrest and infertility. The severity of this arrest highly correlates to the genetic backgrounds of the mice being studied. The most severe phenotype is observed in the cryptorchid C57/BL6 testes, in which the most advanced germ cells are Aundiff spermatogonia (Haneji et al., 1983). The nature and cellular activity of these Aundiff spermatogonia resemble what was observed in Sl17h and Jsd homologous mutant testes (de Rooij et al., 1999). Cryptorchid testes showed many similarities with those from Jsd mice as both models contained seminiferous tubules with Aundiff spermatogonia but with few B spermatogonia. However, elevation of temperature closer to 37°C under certain conditions exhibits a beneficial effect on spermatogonial differentiation. For instance, artificial cryptorchidism generated by surgery rescued the spermatogonial arrest observed in Jsd mutants (Shetty and Weng, 2004). It is not clear why a temperature below 37C° is required for the completion of meiosis. Moreover, additional studies are required to understand why normal testosterone levels and scrotum temperatures are destructive to spermatogonial differentiation when Utp14b is mutated. NEUROG3, a class B basic helix-loop-helix (bHLH) transcription factor, is specifically expressed in Aundiff but not KIT-positive spermatogonia (mostly differentiating spermatogonia) (Yoshida et al., 2004). Lineage tracing, using the Cre-loxP system, showed essentially all spermatogenesis in the adult testes was derived from NEUROG3-positive germ cells (Yoshida et al., 2006). Recently, Nakagawa et al showed the As spermatogonia with a high probability of steady-state self-renewal have low expression levels of NEUROG3 (Nakagawa et al., 2007). Oatley et al demonstrated that removal of GDNF/GFRA1 from the culture medium for SSCs up-regulated expression of Neurog3 and postulated the Neurog3 could be an early/initial signal for differentiation of SSCs (Oatley et al., 2006). Stimulated by retinoic acid gene 8 (Stra8) was first identified as a gene under RA regulation in several carcinoma cell lines (OuladAbdelghani et al., 1996). Recent studies showed it is a required down-stream mediator of RA action on initiation of meiosis in both male and female germ cells (Koubova et al., 2006). Stra8-null animals were sterile in both males and females (Baltus et al., 2006). Spermatogenesis was halted in Stra8-nulls around preleptotene spermatocytes (Baltus et al., 2006). It was also demonstrated that Stra8 induced by RA was closely correlated to spermatogonial differentiation and proliferation in vitro and in vivo (Zhou et al., 2008); (unpublished data). Whether Stra8 is required for the differentiation process and the exact mechanism of Stra8 regulation in spermatogonia is yet to be determined. nanos homolog 3 (Drosophila) (Nanos3) encodes for a zinc-finger protein with putative RNA-binding activity. The NANOS3 protein is expressed in both male and female gonads of early embryo and, after birth, is expressed only in Aundiff spermatogonia. Up-regulation of Nanos3 caused the accumulation of the cells in the G1 phase and treatment of Aundiff spermatogonia with retinoic acid (RA) resulted in a dramatic down-regulation of Nanos3. Nanos3 targeted disruption resulted in the complete loss of germ cells in both sexes. Future studies are needed to define the function of NANOS3 in the self-renewal and differentiation of spermatogonia (Lolicato et al., 2008). Phenotype analyses and mechanistic studies using genetic models have resulted in several major advances in our understanding of spermatogonial self-renewal and differentiation. The summary depicted in Figure 2 represents the present knowledge about the regulation of spermatogonia. It is important to note that many genetically modified mice with spermatogenic failure have yet to be studied in enough detail to fully understand the mechanisms of regulation. Supported by NIH grants R01 HD 10808 and U54 HD 042454. Aponte, P. M. van Bragt, M. P. de Rooij, D. G. van Pelt, A. M. (2005). 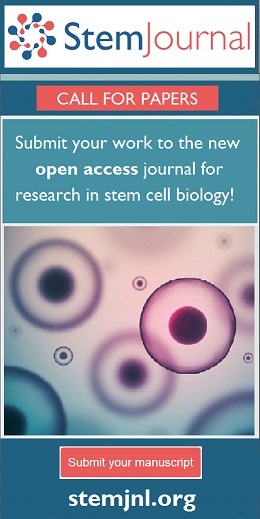 Spermatogonial stem cells: characteristics and experimental possibilities. Apmis 113, 727–742. Chiarini-Garcia, H. Russell, L. D. (2001b). High-resolution light microscopic characterization of mouse spermatogonia.. Biology of Reproduction 65, 1170–1178. Chiarini-Garcia, H. Russell, L. D. (2002). Characterization of mouse spermatogonia by transmission electron microscopy.. Reproduction 123, 567–577. Chiarini-Garcia, H. Meistrich, M. L. (2008). High-resolution characterization of spermatogonia.. Methods in Molecular Biology 450, 95–107. Copyright: © 2008 Qing Zhou and Michael D. Griswold. *Edited by: Patricia Donahoe and Haifan Lin. Last revised June 6, 2008. Published July 14, 2008. This chapter should be cited as: Zhou, Q. and Griswold, M.D., Regulation of spermatogonia (July 14, 2008), StemBook, ed. 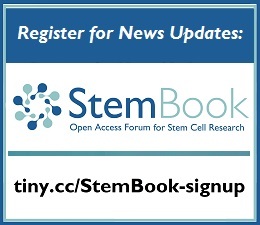 The Stem Cell Research Community, StemBook, doi/10.3824/stembook.1.7.1, https://www.stembook.org.